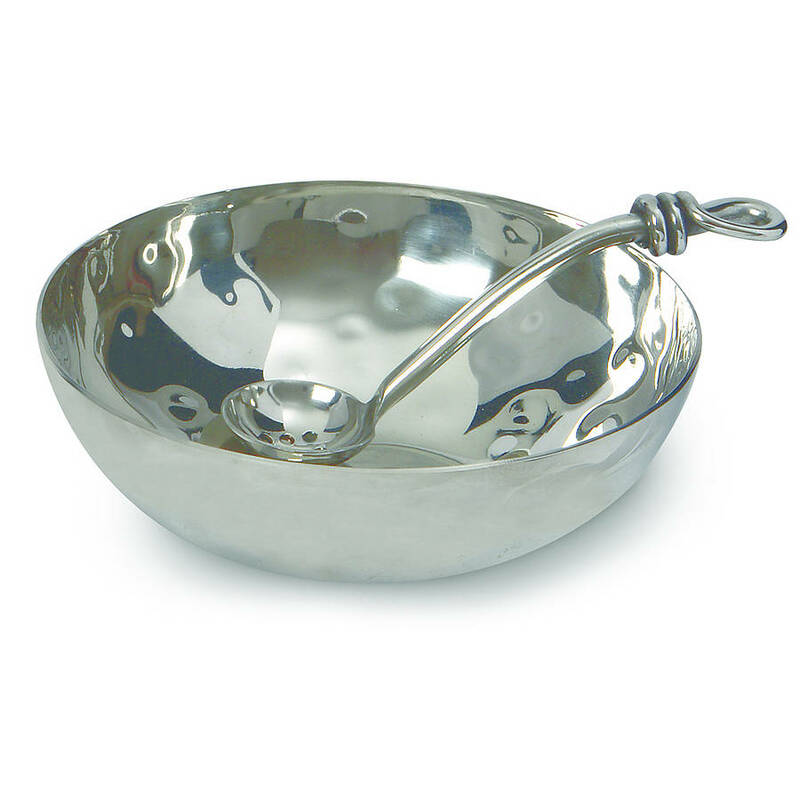 A stunning stainless steel olive bowl with matching spoon. A delightful gift for the antipasti enthusiast in your life. 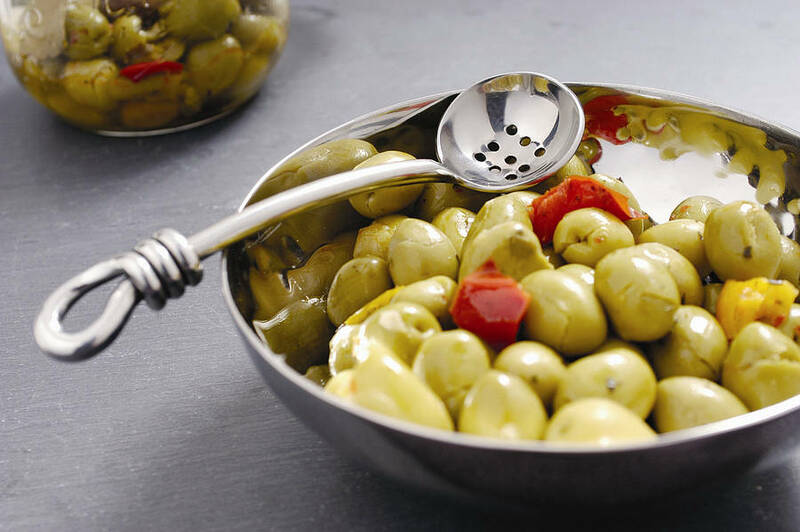 This gorgeous bowl and spoon make serving olives easy as well as looking stylish on any table. This set will remain perfectly shiny after contact with oils and vinegars. This would also make a fantastic wedding present. A great gourmet gift! Bowl diameter 15cm, spoon 15cm length. This product is dispatched to you by Whisk Hampers.